Even if you can’t whistle, there’s no reason you can wear one! Here’s our pitch for you. 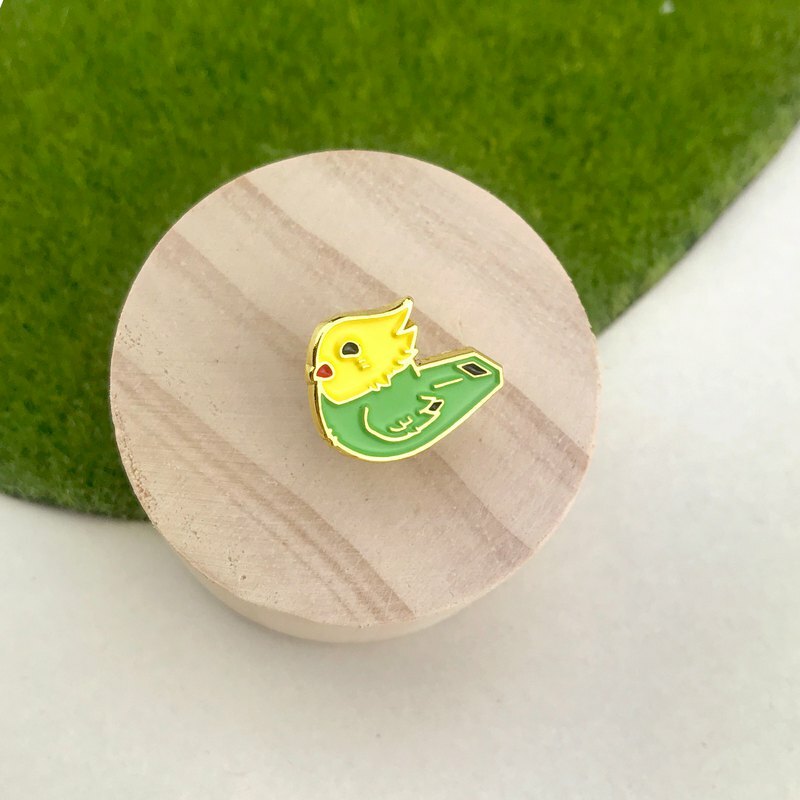 A cute pin that simply calls out to any bird lovers. And it's going for a song! Alright, alright, we hear ya groaning, we will just end this on a high note now! • This is a tiny pin, 14.65mm (H) x 18.5mm (W) • Gold plating • Black rubber clutch SHIPPING ------ All items are shipped from Singapore via normal mail within 3 to 5 working days after payment. Every pin is fastened onto a card and shipped inside a padded envelope for their comfort and safety. Do choose the option of registered mail if you want to track your pin's journey! We will try to ensure that all packages will reach their destination on time and in good condition but accidents do happen that are beyond our control. If anything does go amiss(touch wood! ); drop us a message, and we will try to see what we can do to resolve it!